2. Why Does the Stock Market Fluctuate? What started as scientific theory used to explain the dynamics of mathematics, physics and science problems ultimately found its way to the stock market. Called “the hottest new topic” in scholarly scientific communities in 1988, according to Vienna’s Ludwig von Mises Institute, Chaos Theory suggests investors use cause and effect and probability theories and outcomes to predict market activity, no easy challenge -- even for scientists. The basis for Chaos Theory, as posited by Massachusetts Institute of Technology’s Edward Lorenz, is what’s known in the scientific community as “The Butterfly Effect.” Meteorologist Lorenz believed that even a tiny climate change in Brazil has the potential to trigger the fluttering of butterfly wings, and that the fluttering can trigger distant weather events, like a Texas tornado. This cause and effect theory remains a topic of hot debate among stock market scholars. Chaos Theory, stock market style, assumes market expectations are rational, albeit “omniscient about the future,” according to Mises Institute scientists. Positing an interconnection between patterns, people and events that are anything but random, Chaos Theorists say the ability to predict whether or not a stock will rise or fall based on global chaos requires periods of tranquility amid episodes of chaos. “Europe’s inability to deal with their debt crisis,” says “Forbes” magazine, is an example of a period of chaos affecting market performance across the globe. Assuming chaos is, at any given time, poised to strike at the heart of the stock exchange and that there is no way to predict when or how it will strike, it's critical to look at variables, like the motives, needs and desires of traders, the amount of stock in play during an episode of market chaos and the pace at which market activity moves -- momentum and speed -- since they all contribute to stock volatility that identifies a period of stock market chaos. Chaos, according to “Forbes,” requires positive feedback that acts to amplify stock market trends and impact stock gains, while negative feedback serves to reduce the impact of trends and value in the market over time. While both positive and negative market feedback are required to create an environment in which stock market Chaos Theory can be applied, positive feedback contributes more to performance and outcomes. 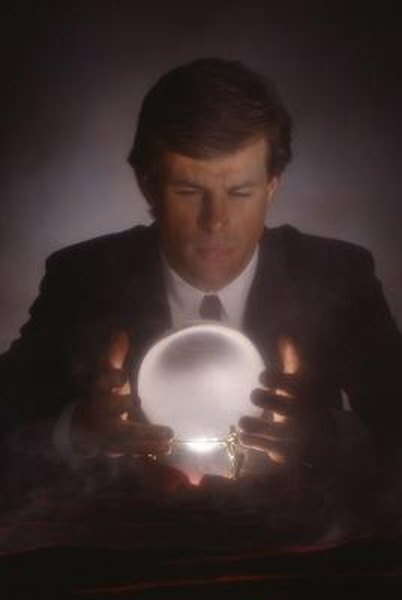 Turtle Trader calls it “prediction impossible,” because using a theory of stock market chaos to speculate about which stocks will be affected by dynamic circumstances implies that market analysts have crystal balls. Assuming that stock market systems are diametrically opposed to traditional linear systems posited by scientists and mathematicians, if you believe yourself to be a stock market chaotician, you accept the fact that nonlinear events are therefore dynamic and that individual parts of the market system -- from stocks to traders to exchanges -- are related to the whole. Some investors are comfortable waiting extended time periods to understand targeted stock performance. Others prefer short-term investing. Chaos theorists believe that time is a necessary factor when observing and speculating about stock market behavior before, during and after a period of stock market chaos. Short-term traders can’t do an adequate job of assessing stock performance because they don’t stick with products long enough to draw conclusions. “Alchemy of Finance” author George Soros says some aspects of chaos theory can be predicted: Good news in bull markets equal strong stock sales. In bear markets, bad news usually triggers heavy stock dumping. Ludwig von Mises Institute; Chaos Theory: Destroying Mathematical Economics From Within? Turtle Trader; Chaos and Trend Following: Does it Make Sense?